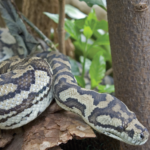 Celebrate reptiles from the world’s tropical rainforests this Easter at the Living Rainforest (6-22 April). Enjoy a range of reptile-inspired activities, including guided rainforest tours, animal talks and feeds, children’s crafts, music workshops and much more. 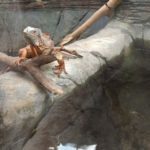 Learn about the amazing lizards and snakes at the Living Rainforest (including the green iguana, Asian water dragon, carpet python and emerald tree boa)… and about our exciting plans to add Cuvier’s dwarf caiman later this Spring. Finally, celebrate Earth Day with us on Easter Monday (22 April) and enjoy a range of eco-inspiring events and activities for the whole family!